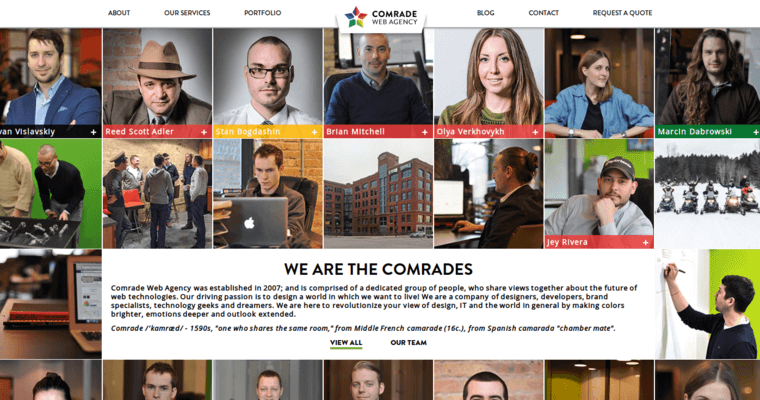 Members of the team at Comrade Web Agency in Chicago believe that the best Web design comes from coupling experienced professionals in Web development, copywriting and other content generation, marketing and SEO with a deep respect for clients. 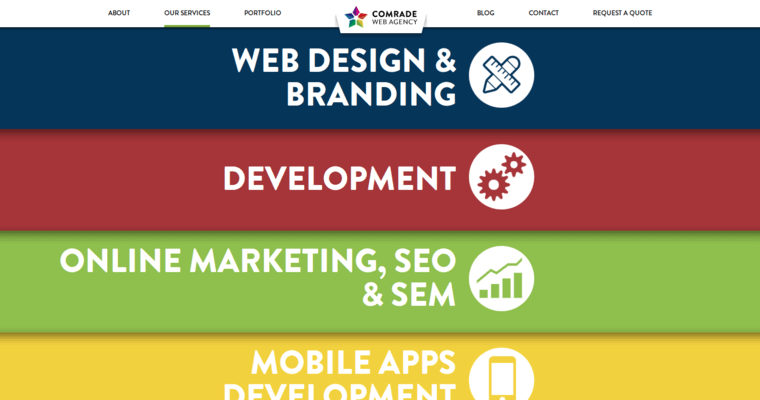 They listen to their clients' needs, brainstorm ideas and work with clients to create successful Web designs. They also do more than offer solutions. They guarantee on-time project completion. As a result, they have become known across the United States, as well as around the world, as the first firm to contact for custom designs. 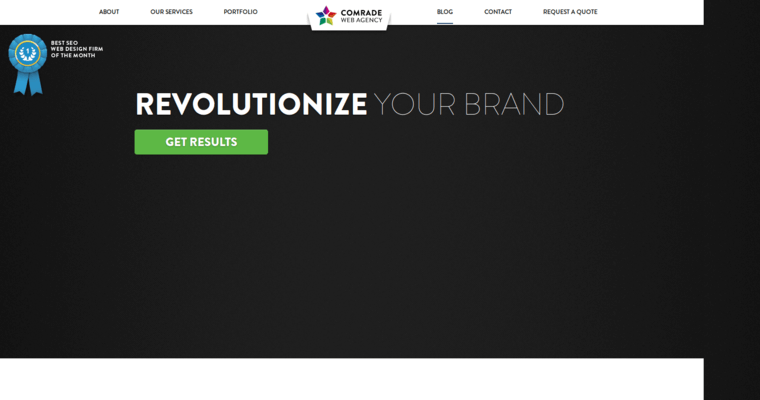 Comrade Web Agency works with a personal mission in mind to design the world they want to live in. This means crafting designs that go beyond complying with whatever fly-by-night trend has taken hold. They create with a palette of brighter colors and deeper emotions so their designs take hold today and then continue well beyond tomorrow.